What is Pradhan Mantri Mudra Yojana? 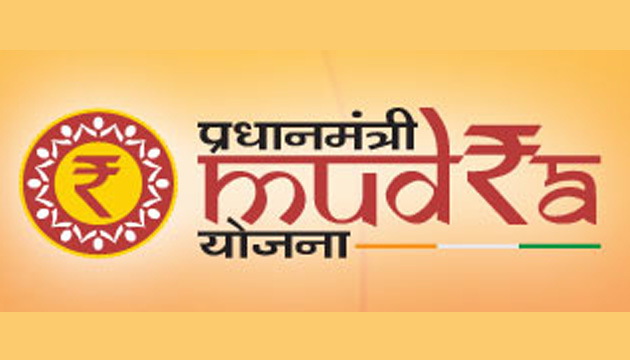 The Pradhan Mantri MUDRA Yojana (PMMY) is a scheme announced by the Union Government of India on April 8, 2015. The purpose of PMMY is to provide funding to the non-corporate small business sector. Non- Corporate Small Business Segment (NCSBS) consists of millions of proprietorship/ partnership firms running as small manufacturing units, service sector units, shopkeepers, fruits/ vegetable vendors, truck operators, food-service units, repair shops, machine operators, small industries, artisans, food processors and others, in rural and urban areas. For implementing the Scheme, the government has set up a new institution named, MUDRA (Micro Units Development & Refinance Agency Ltd.), for development and refinancing activities relating to micro units, in addition to acting as a regulator for the microfinance sector, in general. MUDRA provides refinance to all banks seeking refinancing of small business loans given under PMMY. Thus, MUDRA refinances all Last Mile Financiers – Non-Banking Finance Companies of various types engaged in financing of small business, Societies, Trusts, Section 8 Companies [formerly section 25], Co-operative Societies, Small Banks, Scheduled Commercial Banks and Regional Rural Banks – which are in the business of lending to Micro/Small business entities engaged in manufacturing, trading and services activities. Applicants either have to have spent a year in the current residence or have a 1-year service relationship with the bank through which they are applying for the loan. This category is for the start-ups that have just started out and are looking for a loan. Loan cover offered to this category of micro-units is Rs.50,000. This is the category where the business has started but it is yet to be established. The loan cover offered to this category ranges from Rs.50,000 to Rs.5 lakh. The business that has started and established themselves fall under this category. The loan might be to expand their business or to buy assets, etc. The loan cover offered to this category ranges from Rs.5 lakh to Rs.10 lakh. The Pradhan Mantri Mudra Yojana application form that is duly filled. The vehicle loan application form that is duly filled. 2 passports sized photos of the borrower. Photo identity proof and address proof and income proof. Last 6 month’s bank statement. Pradhan Mantri Mudra Yojana application form and Business Instalment loan application form that is duly filled. Photo identity proof and address proof. Ownership proof or office and residence. Pradhan Mantri Mudra Yojana application form and Business Instalment loan or Rural Business Credit application form that is duly filled. Photo identity proof, age proof, and address proof. Ownership proof of residence or office. Last 12 month’s bank statement. Last 2 years Income Tax Return document. Previous What is Stand Up India Scheme? Next What is Atal Pension Yojana (APY)?